Flour-less , sugar-less and totally delicious! 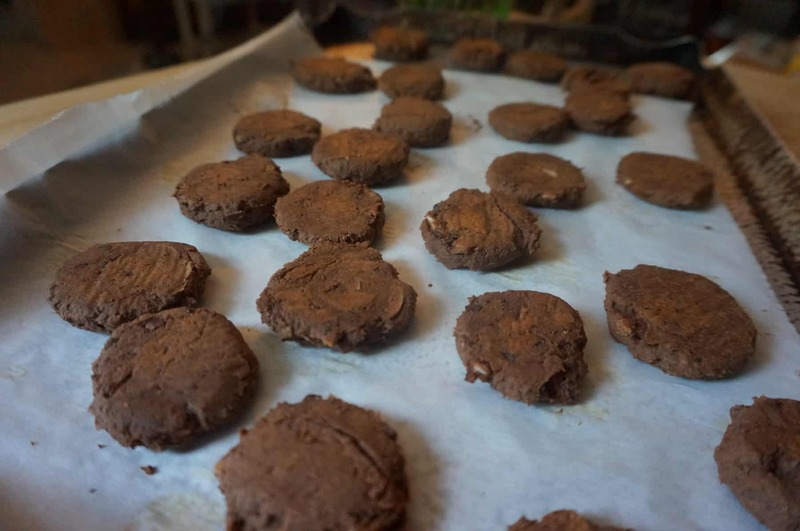 These Chocolate Almond Stuffed Cookies (with a side of Pumpkin Hot Chocolate) are made with chick peas (replacing flour) and dates (replacing the sweetener). The chocolate is a raw unsweetened cacao superfood providing tons of anti oxidants and nutritional benefits. Honest to Goddess Goodness, YOU deserve to serve yourSelf. Before you can say “but I like my pumpkin stuffed Oreo’s and flip off this recipe, keep an open mind that a cookie doesn’t have to be the thing that disrupts your healthy eating or add inches to your waist. Have you any idea of the ingredients that go into store bought cookies? YUCK! Isn’t it time to stop stuffing anything in your mouth and take some care about what you put into the gorgeously divine body of yours? 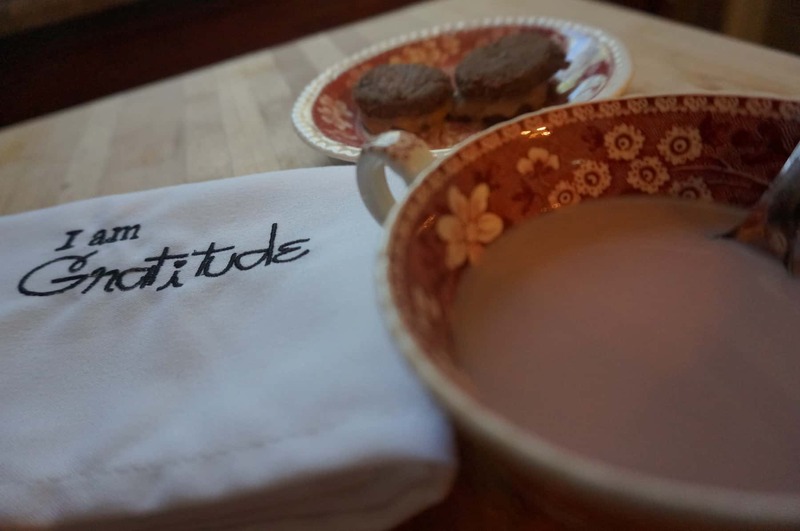 You deserve to sit down, sip, savor and satisfy all your senses. You can create and increase the pleasure you have with your food if you allow yourself to be there in the moment giving total attention to it. That would mean NO magazine reading while eating, no talking on phone while sipping, no texting while chewing, no standing while swallowing. You get the point. That would mean SITTING DOWN, SLOWING DOWN, FOCUSING ON WHAT IS RIGHT IN FRONT OF YOU. Leonardo (I adore him) was a tad pissed and often spoke of how people listened without really hearing, touched without really feeling, moved without awareness, looked without seeing and ATE WITHOUT TASTING. Imagine that they didn’t even have cell phones or television back. This recipe is an invitation to feel your way through the preparation. Feel while you prepare it. Really look at it and be present to the preparation and the mixing of the naked ingredients. All the ingredients for these stuffed cookies are NAKED, meaning food in its most natural form. You could argue about the powder being somewhat processed so you can feel free to leave it out if you want to really strip down bare and replace it with 2 tbsp almond four. I love this purple mixing bowl. This recipe makes up into a nice cookie dough consistency. Here I mixed the wet into the cacao nibs and almonds slivers. I used a cookie scooper to get them all the same size. I used the bottom of a glass to flatten them before baking. 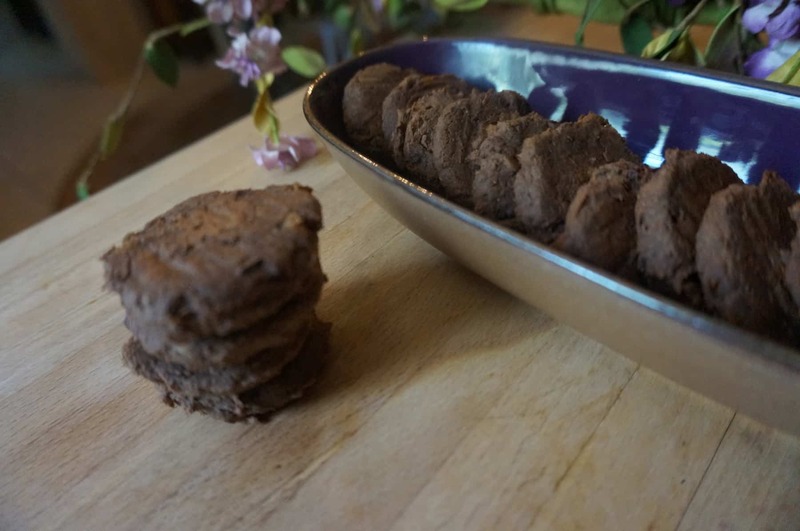 You can absolutely serve them like this just plain simple single chocolate almond cookies. 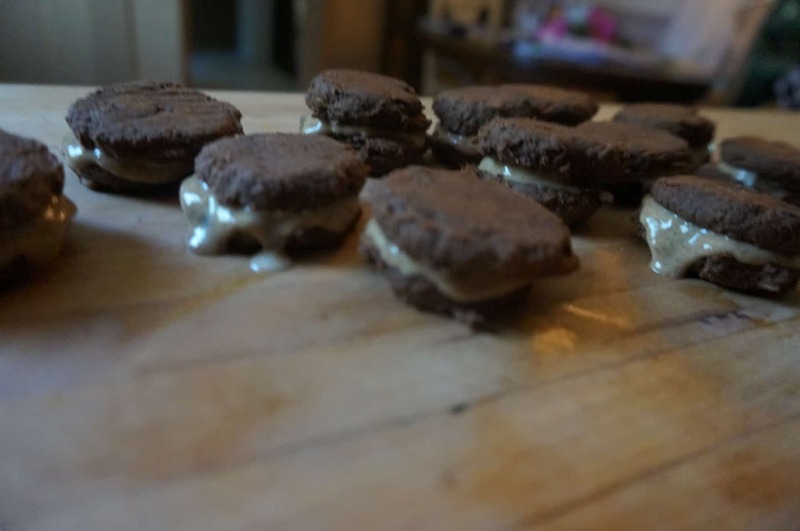 Or you can stuff them like sandwich cookies which is a lot of fun. 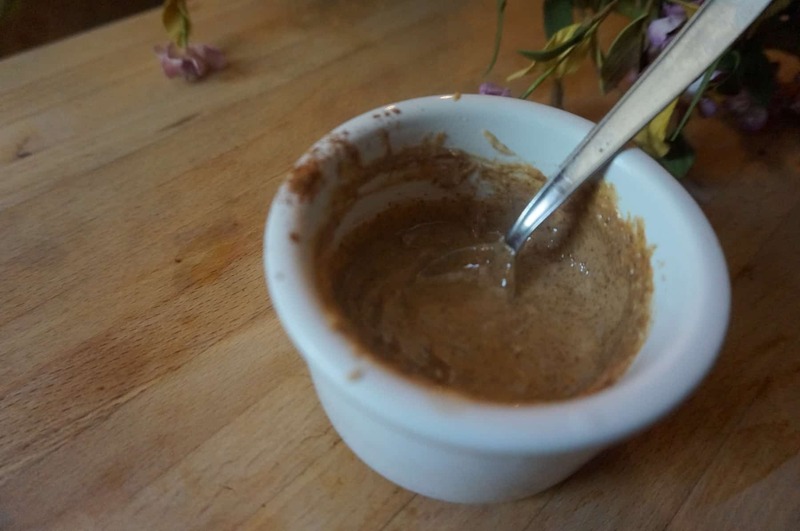 Simply mix up 2 tbsp coconut butter, 2 tbsp tablespoon almond butter, and cinnamon and spread in between two cookies like a sandwich. They come out looking like drippy deliciously creamy sandwich cookies with a loud invitation to EAT ME. So go ahead and eat them. YOU deserve to treat yourself well and that starts with the food you take into your divinely precious body. 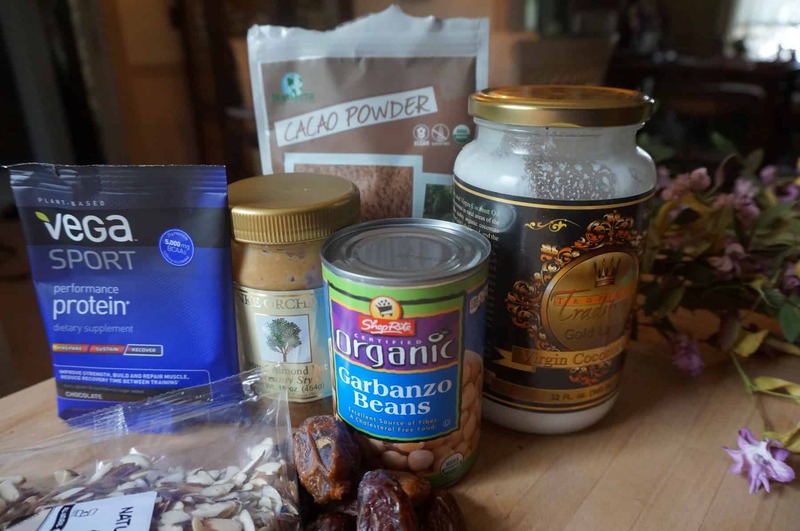 Mix all ingredients into vitamix (leaving out the last 2 – cacao nibs and almond slivers as you’ll mix them in last). It will form a nice cookie dough consistency. 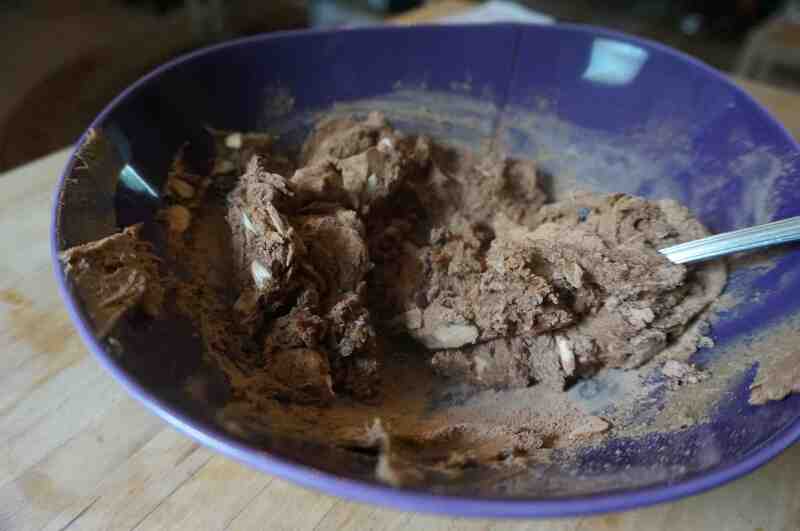 In a mixing bowl, combine 2 tbsp cacoa nibs and 2 tbsp almond slivers and add the mixed dough from the vitamix. Now you are ready to scoop. Scoop cookies onto parchment paper lined cookie sheet. Bake at 350 for 12 minutes. When cooled, spread filling on one cookie and top with another cookie to make your stuffed cookie. And don’t forget your pumpkin hot chocolate. Watch me whip up this hot chocolate in the video here. Mix all together in a pot, stirring till warm and creamy. YUM. Sip and savor slowly. FYI, the “I AM ” napkin series, is available here. They give you the opportunity to remember which state of feeling you choose to be in. Those cookies look delicious. The worst part about diverticular disease is that I have not been able to eat nuts or seeds for 10 years. since they were my go-to snack, etc, it’s created some nasty little habits. But I do love those cookies and will have to adapt the recipe.